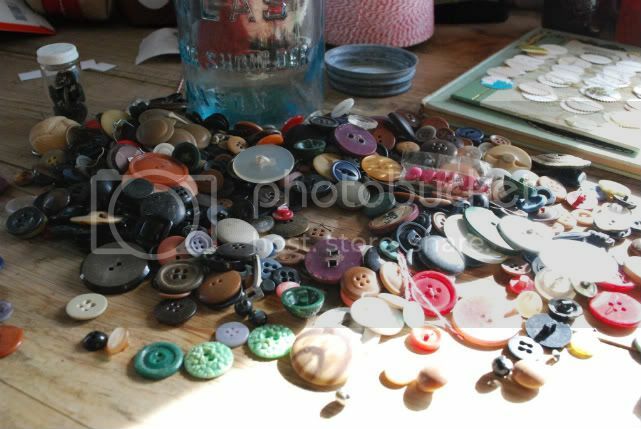 If I was to make a 'favorite list' this week vintage buttons would be on the top. I just had a moment to dump out a jar that I got a few months ago and pick out my favorite ones. 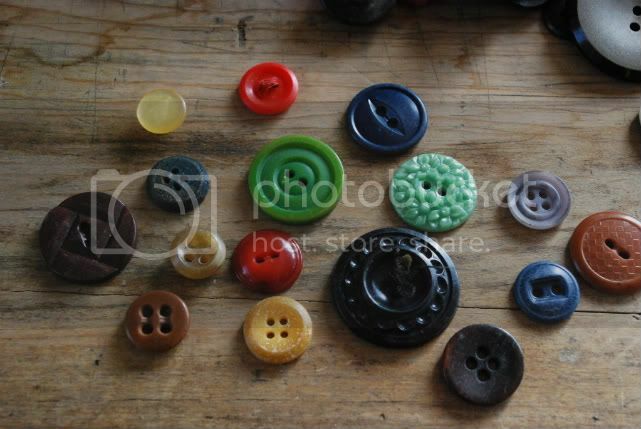 I especially love the ones that are all beat up with big wide holes. Oh they are so good.